Thanks for tuning in today! I’ll start with part 2 of the half marathon. If you remember, I was going to run my first race of the year on April 6 outside of Milwaukee WI. Thank you to everyone that contributed to my fundraising effort, I made my goal and then some! I ran a half marathon in November and beat my best time by 12 minutes. Yes, that’s almost a minute faster per mile in 11 months. I planned on taking some time off of running to let some things heal up, but actually, that didn’t happen. You see, I was on the elliptical machine at the gym, staring at the treadmills and well, I knew I couldn’t stop running. 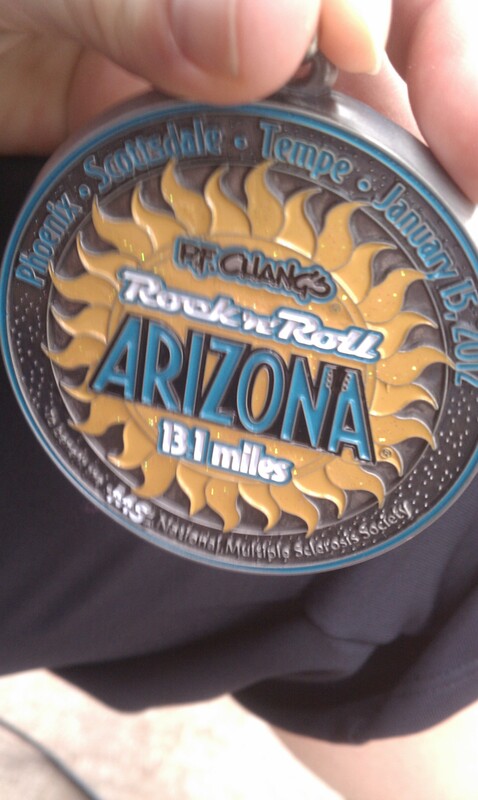 Knowing I had this half marathon coming up, I bucked up the mileage again in January. This race plan was different – we were going to run at a set pace (slower than my normal pace), with planned walking between each mile. There were 2 goals, one was to break the Guinness World Record for Most Runners Tethered together for a Half Marathon, the other was Most Money Raised for Half Marathon. Here we are starting the race, this is the timing mat we run over to start the official timer chips. 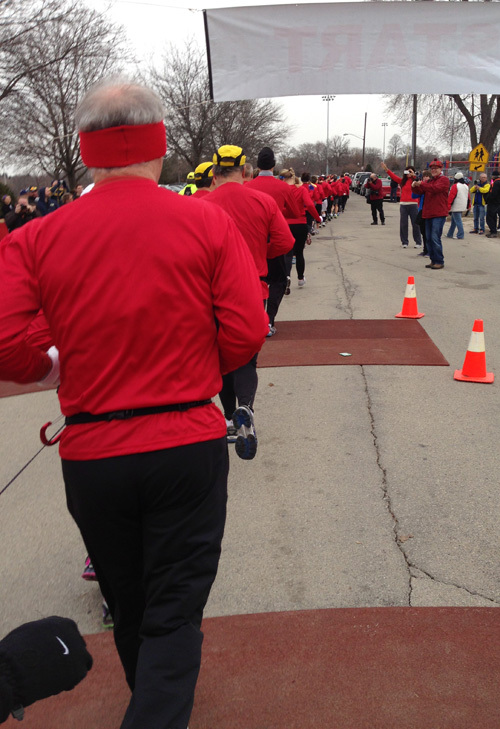 The 2 dudes in yellow hats and the one right in front of me were brothers, and they joked and cracked us up for the entire race! We had orchestrated hand signals, walkie-talkie captains, even an official bathroom break, primitive style. 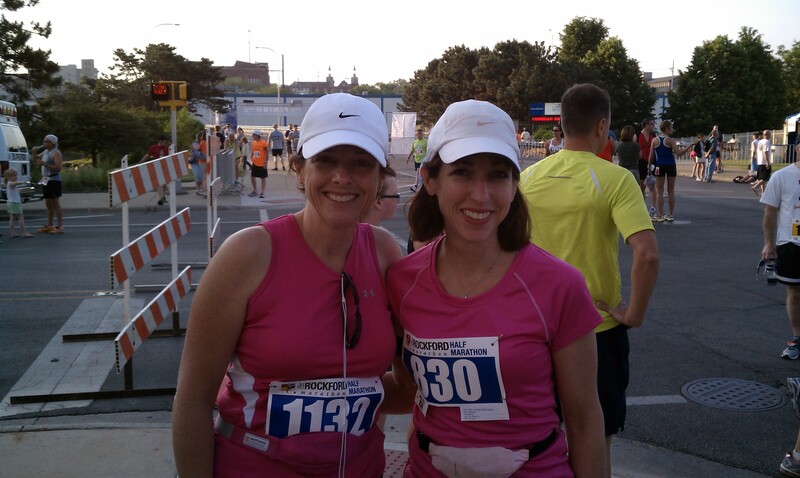 We finished the race in just under 3 hours, and it seems initially that we broke both records. We’re just waiting on the official paperwork to go through the verification process. Here’s the group of 103 runners and one of the 13-year-old clients, Matthew, of Lifestriders Therapeutic Riding Facility, an equine therapy facility for disabled people. Matthew’s mom ran with us, and he waited for us at the end so she could push him across the finish line with the group! Oh look we made the TV news! And here is another video from the Lifestriders Facebook Page. And this is my sister, her friend and me after the race, I’m looking rather fluffy (I had 5 layers on, it was chilly, a bit rainy and windy). So my card today reflects how I feel to everyone that texted, Facebooked, donated, supported me in this endeavor! You can see more on how I made it, today my day to post on the Scrapbook Adhesives by 3L Crafty Power Blog! I need your support, would you mind reading through my story? If you know me, you know I work out 5-6 times a week. I’ve done this for several years. Relatively new to me is running. Even though I did a crazy hard boot camp daily, running was always the thing I whined about. A mile? in 12 minutes or less? Ridiculous! Who does that? And Why?? Well, I do now. I do a lot more miles, and in less than 12 minutes. 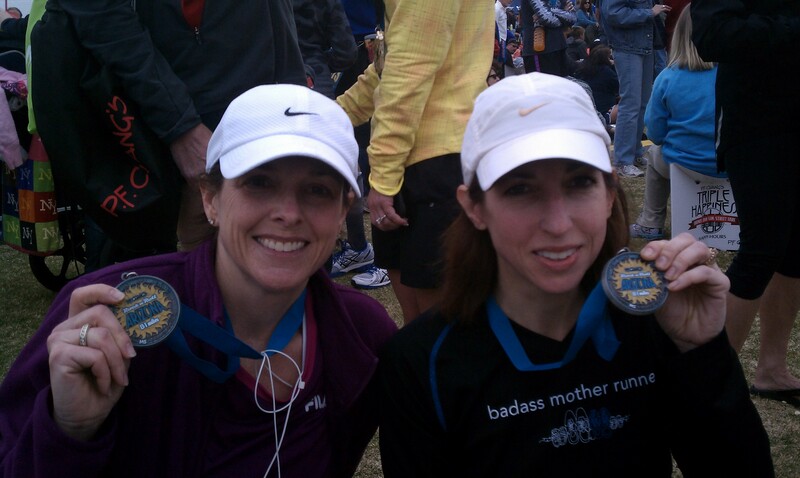 I started with a 5K or two, and then one thing led to another in late 2011. I was whining to my sister about needing to get away for a weekend, I would go anywhere as long as I could sit on a beach and drink cold beverages. She crunched some dates and came back with “Lets go to Phoenix and run the Rock and Roll Half Marathon!” Uh, great, running the desert, just what I wanted! “But I’m only running 3 miles at a time,” I whined. “Oh come one, we’ve got like 6 weeks to train for it, and we’ll walk a little”, she negotiated. (She was a drill sergeant in a previous life, I’m sure of it) Alrighty then! It’s amazing how many holiday cookies I didn’t eat, knowing I had to hit the floor running every day. And we did it! We finished it in a respectable time, upright, and alive too! Then she manipulated me into doing it again. We ran a half marathon in her town a few months later. I followed a complete training program for that one. And then I ran one killed one by myself last November, and took 12 minutes off my best time. It was 28 degrees that day, so looking lovely wasn’t my first priority. More details on these later, I just needed to set the stage here. 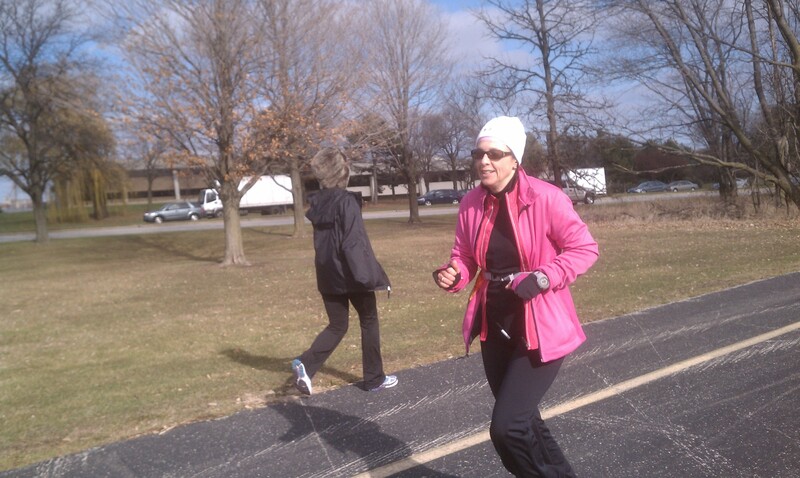 I’m doing another 13.1 on April 6 near Milwaukee, WI. Aside for hitting the dreadmill at the gym (I’m near Chicago and Baby It’s Still Cold Outside! And icy and wet and windy! ), I have committed to raising $250. The funds raised go toward the Lifestriders Therapeutic Riding Center in Waukesha, WI. So here’s the fun part for everyone. By running this 13.1, along with my sister and about 100 other people, linked together as a unit, we will be breaking a World Record and getting ourselves in the Guinness Book of World Records twice, for not only crossing the finish line tethered together (think caterpillar, not blob) AND for most funds raised by a group running a 13.1! You can be a part of this without hitting the pavement (or you can join us on the pavement, the more the merrier!) Can I get your support? Would you be willing to donate to help me hit or exceed my $250 goal? How about a dollar a mile? Maybe $2 a mile? I’ll be off to the gym in a few minutes, today is a long run day, 8 miles on the dreadmill in a stuffy gym. If it didn’t just snow yesterday I would do this outside, but I’m pretty sure my 8 mile route is snow-covered, otherwise it would be a great day for a run! You say “How cool is that Beth, how do I help?” and I say Thank You so Much!!! Just go to my Active.com fundraising page right here: Donate, where everything is tallied, taken care of, and safe and secure. 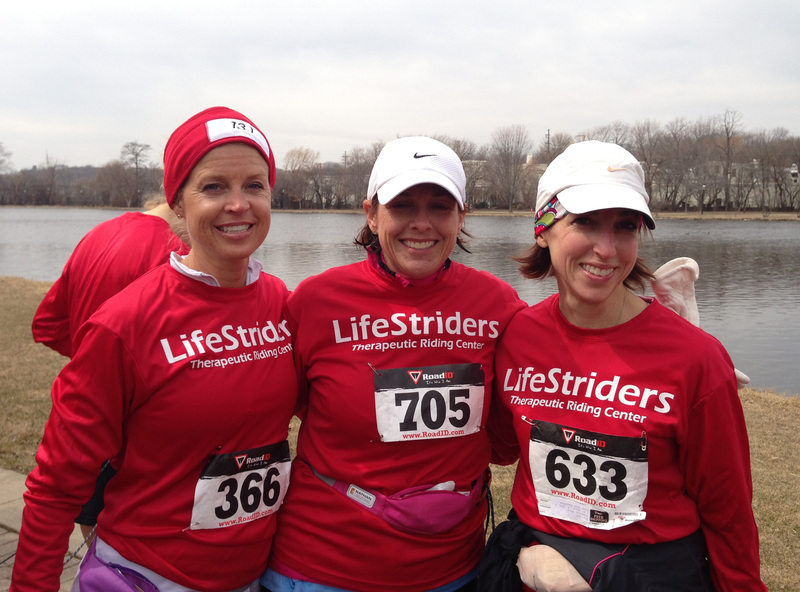 Donations go straight to Lifestriders. So thanks for reading if you got this far, I’ll be tweeting and posting more details as we get closer. Thanks for your comments, donations and encouragement! Also, if you think I’m crazy, hold on tight! This race is only the first of the year, I’ve signed up for 3 Half Marathons, and then a 26.2! Keep the encouragement coming, I’m going to need it. This current 13.1 is the only race I will be asking for a donation, the rest will be moral support only!